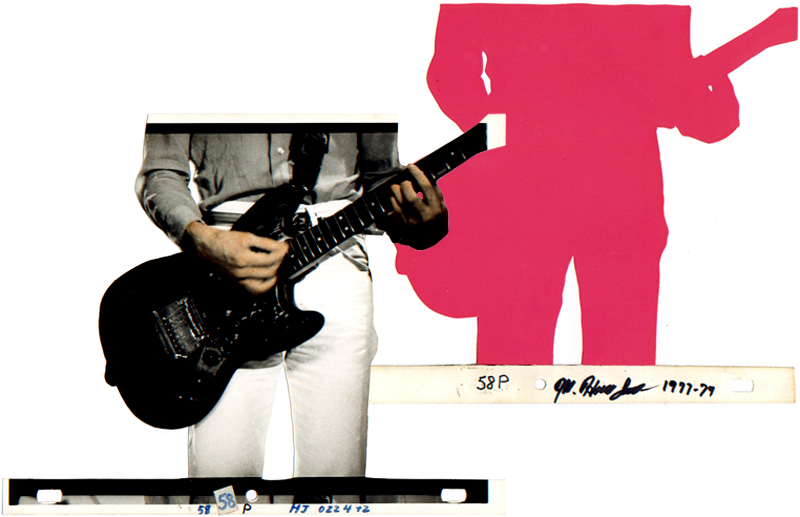 M. Henry Jones (Photographer) Fleshtones’ guitar player Keith Streng, hand colored cut-out photo with cut-out color shadow for the animation Soul City. Photo and pink silhouette (two pieces), Approx. 7 x 10 in., Irregular shape.